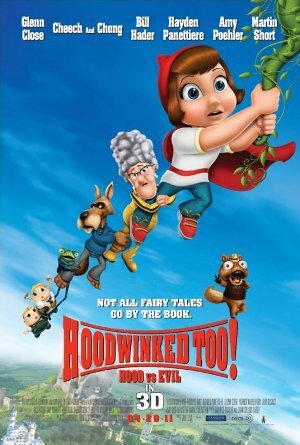 Verdict: I haven’t seen the original installment (Hoodwinked!) but I have absolutely no interest at all after watching this sequel. Whose brilliant idea was it to spoof a crossover of fairytales and classic films but with kids’ level of humour? It’s impeccably lame and the graphics aren’t great as well. However, I was very impressed with Saturday Night Live’s duo, Bill Hader and Amy Poehler, for their voice-over performance as the German siblings, Hansel and Gretel. If it wasn’t for them, I would’ve walked out of the cinema along with the others halfway through the show. Least favourite quote(s): “Muffins.” – “Oh, muffins.” – “Muffins!” – “Once a sister, always a sister.” YES, ENOUGH ALREADY! The special screening of the film was courtesy of Nuffnang. man, i really enjoyed the 1st one. the graphic not great but the story and plot is somewhat nice..imo la. somehow I dislike the graphic and It is too simple . . . no effort at all and HAHA just for laugh . . .